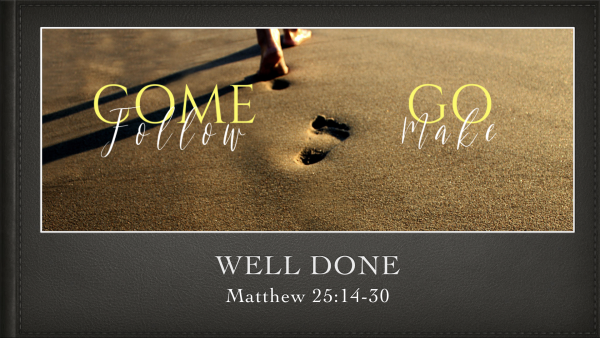 Starting with the invitation “COME Follow” and ending with the commission “GO Make” Jesus leads a small group of men through a crash course in discipleship. In His ministry he led these disciples to become disciple-makers. Join us as we travel with them in the book of Matthew and apply His timeless teachings to our own lives that we too may one day become disciple-makers.